Our “Agro-Food Diagnostics” Department provides a wide range of products dedicated for the analysis and safety of food raw materials, food products and environmental samples. We offer excellent service, high quality products delivering reliable results using the newest technologies present on the market. 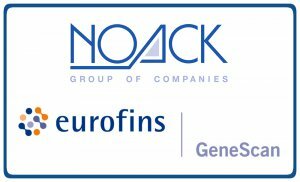 We are pleased to announce, that Noack & Co has entered a cooperation with Eurofins GeneScan to supply PCR based…..